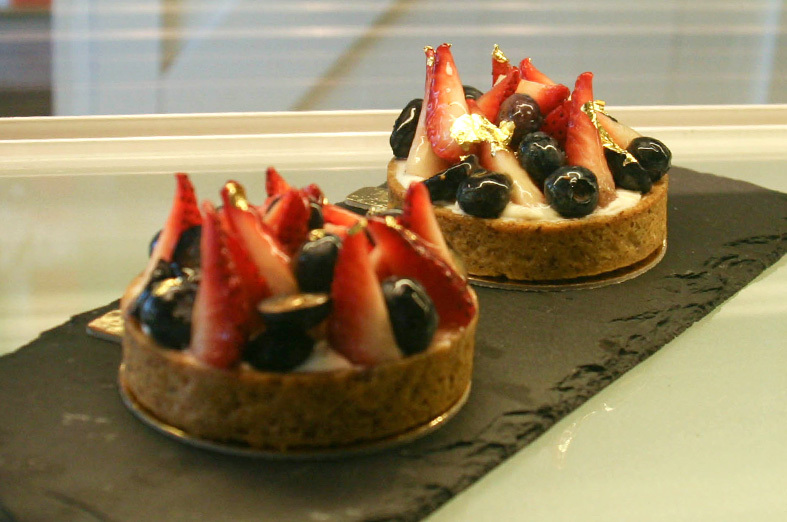 French patisserie on the most hipster street in Singapore. 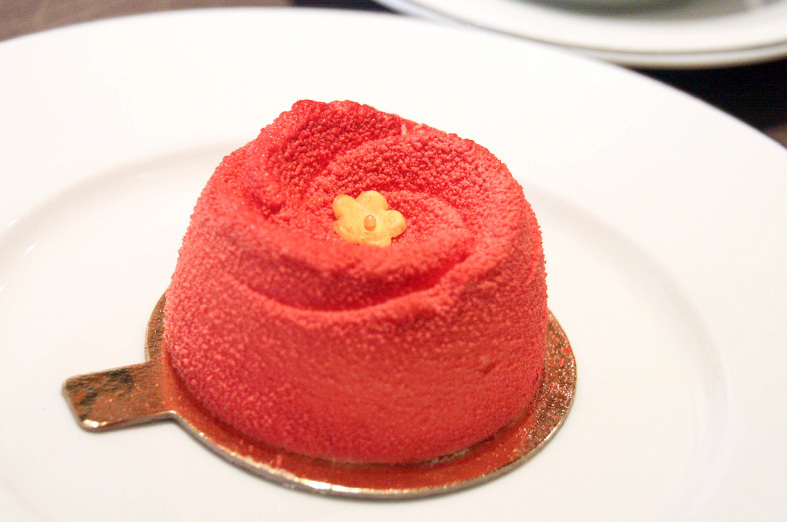 A homegrown patisserie, Le Kue, is inspired by French culinary techniques. They are dedicated in their dessert creation with a tropical, Asian spin on most of their cakes. 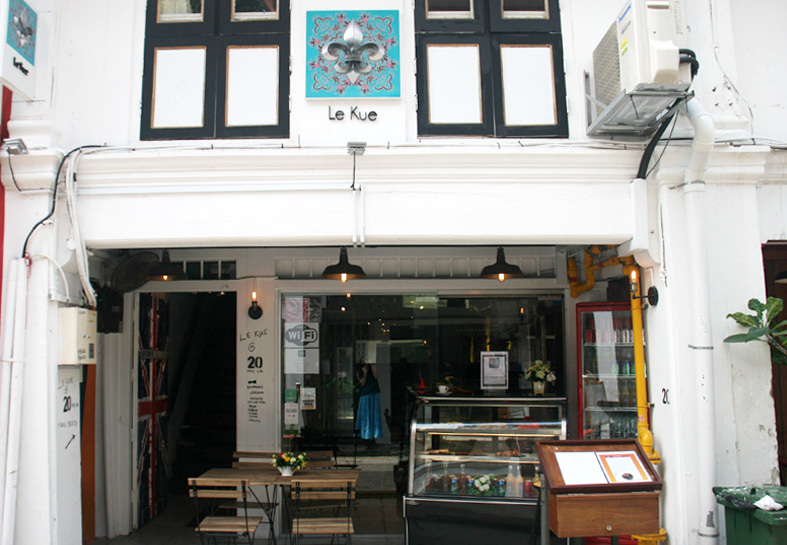 Muslim friends will be able to enjoy their creations as well because Le Kue is consciously Halal (more details here). The crowd they garner on a weekday afternoon is almost all tourists, taking a break from the unrelenting heat. 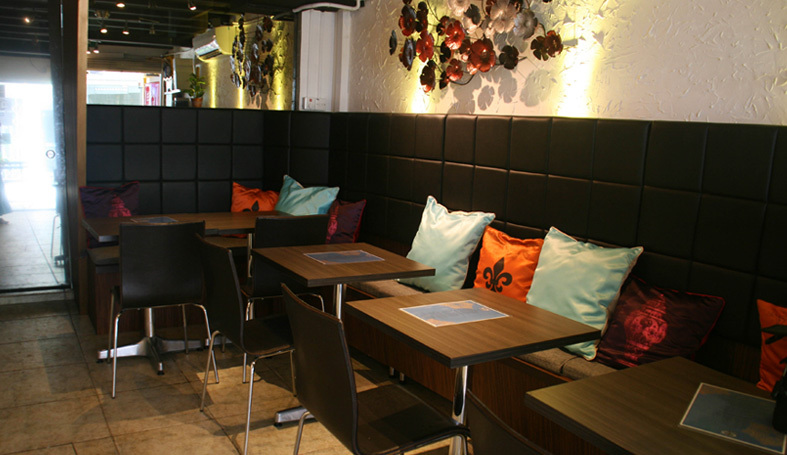 Their interior design adopts a sophisticated and elegant theme and reminds me of W Hotel Singapore... in a good way. Admittedly, I am pretty much detached from the local food scene from my months of absence, and Instagram updates from my foodie friends really can't beat the real deal of trying them out myself. One worrying trend is the tendency for desserts and cafes to overcompensate on the Instagrammability of their food and neglecting the taste, so when I was looking at the cakes... they all look gorgeous. Would they be really good too? For my waistline and wallet, I only tried one cake, the Strawberry Shortcake from their display. It performed quite beautifully... as you can tell after the first shot, I didn't wanted to take any more photos because I couldn't stop savouring it! 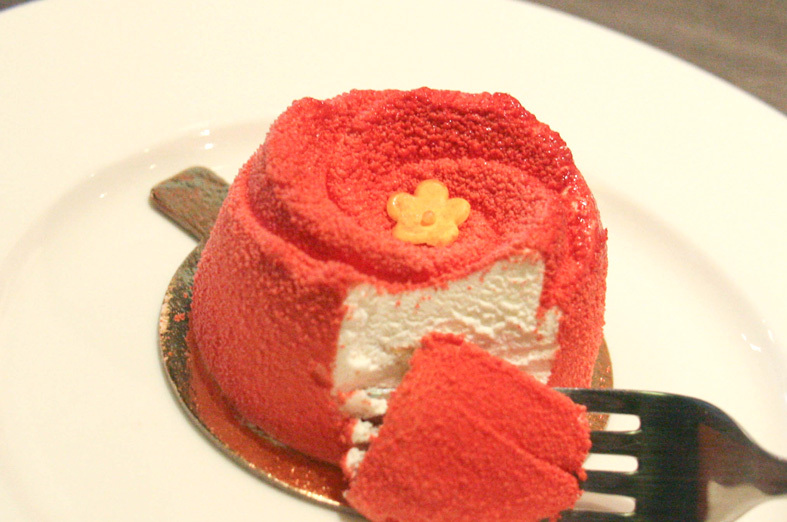 Underneath its light and fluffy rouge exterior, sweet strawberries fillings was stuffed generously in it. This is what a dessert should be like. I am likely to be back for more.